"Thanks" to Convenience Store News for publishing "Is Your Store Prepared for Pedal Error?" this evening on its website. 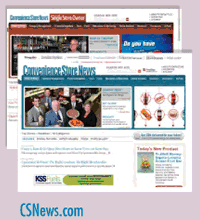 According to the publisher, Convenience Store News is the c-store industry's #1 print & online publication and the "highest-trafficked website in the industry," with 81,700 unique visitors (Aug. 2012). The article was co-authored by Rob Reiter and me to help generate c-store industry awareness and engagement. The piece uses some of the stats generated by Texas A&M University from its research into the issue this summer. Let us know what you think. Really great article. Lays all all the basics. Keep up the good work!